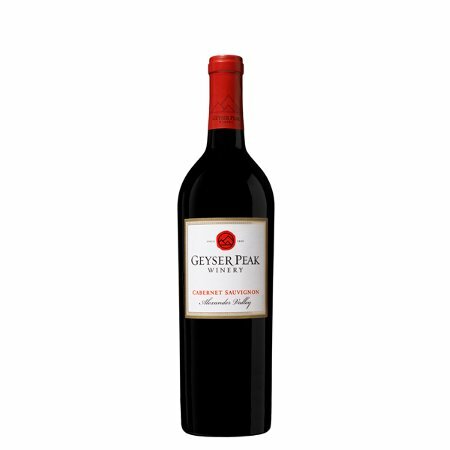 2007 Geyser Peak Cabernet Sauvignon Alexander Valley | Wine Splash! Pulling out some of my 2007 Cabernet Sauvignon’s for the Summer and came across one of my favorite wineries – Geyser Peak. Consistently wonderful Cabernet’s and one you can always depend on for great flavor and value. I did not decant this wine tonight but did open the bottle about an hour before tasting. In my glass, this Cabernet Sauvignon is deep garnet in color with a bright ruby edge. Swirling the wine in my glass brought up aroma’s of blackberries, cherries, anise, black pepper, and vanilla! The mouth feel is full bodied, plush, and a medium tannin structure. Over the palate, this geyser was erupting with flavor! Layers of Blackberry, Black Cherry, olive, vanilla, black pepper, and a hint of cedar. As the wine opened up more, pleasing flavors of briar berry, dark chocolate, and ginger developed into a long, elegant finish. This would be an excellent wine to pair with a grilled steak, roast leg of lamb, a spicy tomato pasta dish, and medium to strong cheeses. This is a complex Cabernet with lots of concentrated layers. Full bodied, elegant, and the tannins have just started to soften a bit. I think this is a great representation of the Geyser Peak Cabernet Sauvignon style! I really liked this wine and give it 90 points. If you have a 2007 vintage, I feel you can enjoy it up through 2015. WineSplashing! !